Had a dentist appointment yesterday and am still “conscious” of my teeth. 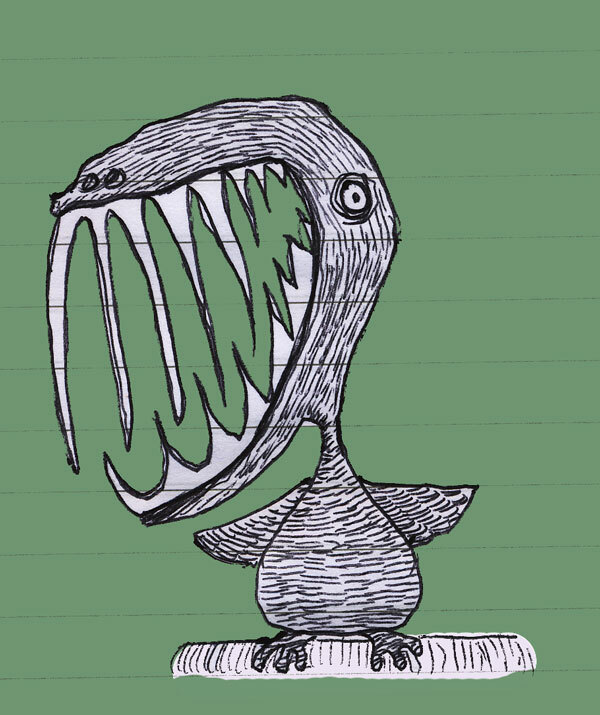 This entry was posted in bird, creature, dentist, discomfort, teeth. Bookmark the permalink. Hi, guy!! Your drawings are so cool!!!!! 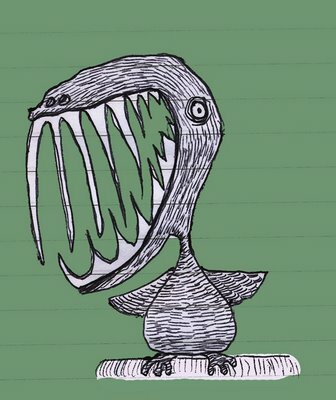 I really like these strange animals, because cute everybody draws and like. I'd like to know what can I do to get a shirt with one of your drawings. Why is the Twitter bird so cute to everybody? I think it should be like the yours one. Laiane, you are a hero among heroes. thanks for your love and devotion.